SunYuan ISO U(A)-P-F Isolation Transmitter is a hybrid integrated circuit that isolates an analog DC voltage or current signal into a corresponding digital pulse frequency signal. 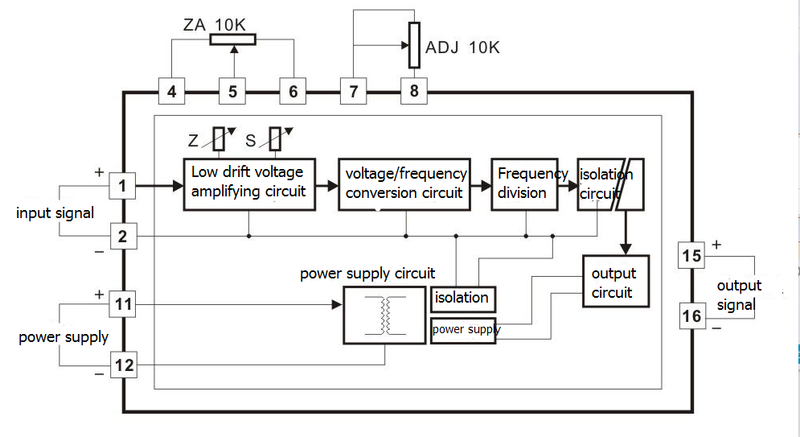 The circuit integrates multiple sets of high-isolation DC/DC distributed power supplies on the same chip, respectively supplying power to the internal input terminal amplification circuit, modulation circuit and output demodulation circuit, conversion circuit and filter circuit, and also supplying power to several highs. Performance signal isolation, AD conversion, linearization compensation, interference suppression circuits, etc. SMD process structure and new technology isolation measures enable the device to achieve: power supply, signal input / output 3000VDC three isolation. And it can meet the requirements of industrial grade wide temperature, humidity, vibration and other harsh working environment. ISO series analog signal to frequency signal (V/F conversion) isolation transmitter IC is very convenient to use, the customer only needs external zero point, full potentiometer to calibrate to realize the isolation of sensor analog signal isolation into unit pulse signal. give away. The product can be made according to user-defined parameters. The installation method is standard SIP 16Pin PCB board soldering installation or DIN 35 rail mounting. It is especially suitable for FM phase modulation, analog-to-digital AD converter, GPRS/GMS wireless data transmission, digital voltmeter, data measuring instrument and remote telemetry remote control equipment. ● International standard signal input: 0-5V/0-10V/0-20mA/4-20mA, etc. Isolation amplifier transmitters are generally used in industrial environments where the power environment is complex. In order to prevent various interferences or damages to the product in the field environment, we are based on years of production experience and feedback from users in different environments. Under the premise of being affected, the product protection measures will be improved and improved gradually. 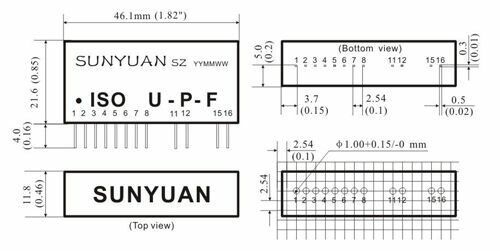 For DIN 35 rail-mounted products, these protection circuits are placed in the product and can be used directly by the user. For IC packaged products, the protection circuit cannot be loaded due to the size space constraints. Therefore, please use the environment to install a protection circuit for the signal input, output, and auxiliary power of the IC package product.